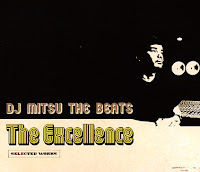 "a masterful selection of remixes and more by DJ Mitsu The Beats! Selected Works leans towards the more hip hop friendly side of Mitsu's palette"
My friend and I were recently discussing about how technology has become so integrated in our day to day lives. Reading this post makes me think back to that debate we had, and just how inseparable from electronics we have all become.